The collection is available digitally, as a single CD, or a double vinyl LP complete with a forward from Barack Obama. Carlile recruited the artists herself, calling them a group of “her heroes” many chosen for their history of activism. The tribute begins with a more pensive version of “Late Morning Lullaby,” Brandi’s song about wanting to hide under the covers rather than face the day. 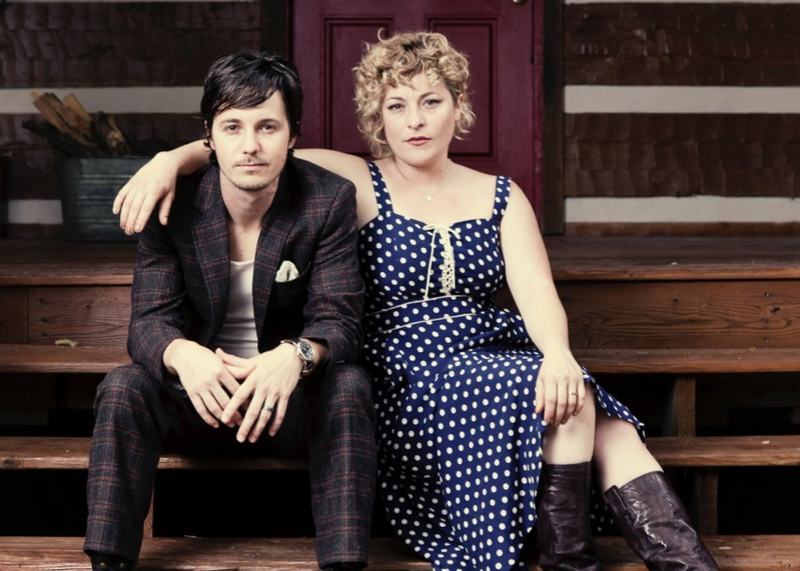 Shovels And Rope manage to build the song, giving hope that the strength found in their voices just may be able to overcome that lack of confidence. Approximately zero reviews of The Story back in 2007 failed to use at least one of the phrases “wise beyond her years” or “sage-like” to describe Carlile’s songwriting and delivery. Two of the most illustrative songs of this maturity are the title track (actually written by long-time collaborator Phil Hanseroth) and “Turpentine.” So it comes as no surprise that these were covered by the tribute’s two most veteran artists, Dolly Parton and Kris Kristofferson. Dolly was an excellent choice to cover “The Story,” adding authenticity to the lyric “All of these lines across my face/Tell you the story of who I am.” Kristofferson’s throaty delivery of “Turpentine” seems to exaggerate the chasm in this tale of strained friendship (supposedly between Brandi and her brother), and when he growls “It’s 6 AM and I’m all messed up,” you totally believe him. Kristofferson’s version also benefits from daughter Kelly’s backing vocals and Chris Stapleton’s guitar work. 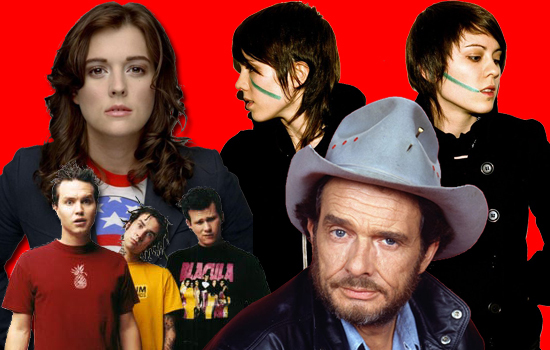 Brandi Carlile and Old Crow Medicine Show toured extensively together last year. OCMS shaves nearly two minutes off “My Song” while giving it the full bluegrass treatment complete with dobro, fiddle, banjo, mandolin, and yep, a guitjo. Jim James misses the mark as he runs “Wasted” through a “Tomorrow Never Knows” filter, emerging with a psychedelic two minutes but losing the bite and bitterness of Brandi’s original. The three covers in the middle of the album are exceptional. The Avett Brothers slow down the jaunty “Have You Ever,” distilling it to a basic yet gorgeous appreciation of nature. Anderson East‘s take on “Josephine” bursts out like Sunday through open windows of a rural Baptist church. “Josephine” is punctuated perfectly by the Hammond B3 and spiced just right by girlfriend Miranda Lambert’s backing vocals. Next, the Secret Sisters drop the tempo on “Losing Heart.” Brandi guests on the banjo and Tim Hanseroth adds piano and mellotron, with the end production sounding like something Godley & Creme along with Graham Gouldman may have crafted on an old 10cc ballad from the mid-seventies. The Indigo Girls were the most notable guests on the original album, so it’s nice to see them represented on this collection, although “Cannonball” comes off a bit clunky. With influences ranging from Enya and Kate Bush to Johnny Cash and Kurt Cobain, TORRES seems like the perfect artist to cover Brandi Carlile. Her lo-fi take on “Until I Die” nods primarily to the Kate Bush influence. Up-and-comer Margo Price offers a sweet and simple take on the optimistic “Downpour,” which Brandi wrote for her parents’ 25th anniversary. Ruby Amanfu‘s “Shadow On The Wall” is a highlight supported nicely by a Wurlitzer, a B3 organ, pedal steel, and the production of Patrick Carney. Pearl Jam and Adele close things out with “Again Today” and “Hiding My Heart,” which we linked to back in our first paragraph. After a full ten years, The Story was just certified gold. A modest success based on raw sales numbers, but there’s no way to measure just how meaningful and influential the album was to the thousands who used it to help them move on from heartbreak or disappointment. 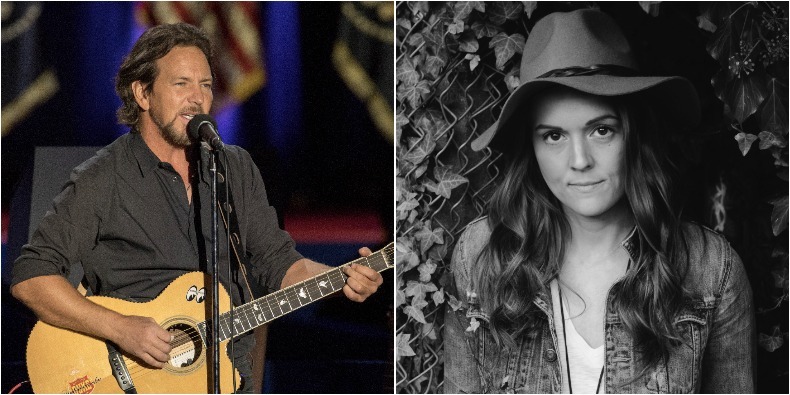 Brandi Carlile has earned her fans’ loyalty, and those fans will likely appreciate this tribute and the cause behind it. 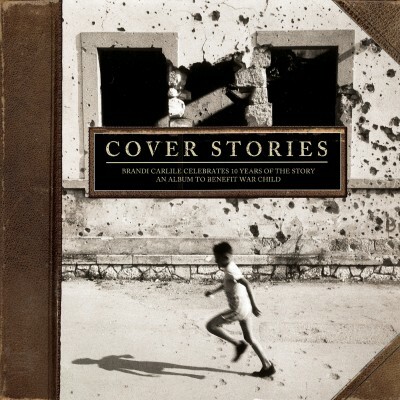 Pick up Cover Stories: Brandi Carlile Celebrates 10 Years of The Story-An Album to Benefit War Child at your local brick and mortar music store while you still can, or at Amazon or iTunes. Find out more about War Child here.